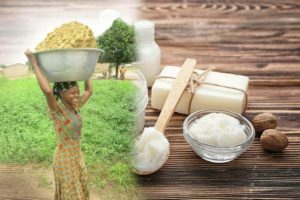 The coconut industry on Friday, April 6, 2018 received a boost of 40, 000 disease-resistant seedlings, from the Ghana Export Promotion Authority (GEPA), under the GEPA’s mandate, which is identify, develop and promote products with export potential. 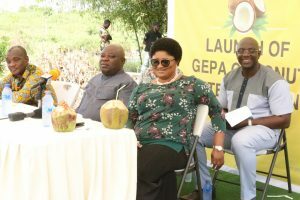 The support, according to Madam Klenam, is part of plans to resuscitate the coconut industry, under the revitalization mission of the GEPA, which targets crops such as cashew, pineapple and coconut. The objective of the revitalization programme, of cashew for instance, is to generate 300,000 metric tonnes from the present 80,000 metric tonnes, generating at least $3bilion in foreign exchange, of Ghana’s cashew export, by 2027 under the ten-year cashew development plan. 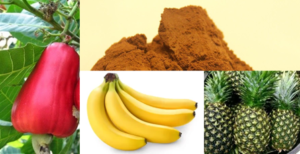 The plan, also aims at increasing the production of pineapple with the purchase of 15 million smooth cayenne pineapple suckers, to various out-growers to increase production to feed local processors and for export in fresh form. 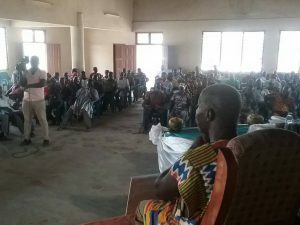 The coconut revitalization program was launched in Gomoa Odumase, on Wednesday, March 14, 2018. The program is expected to resuscitate the coconut industry from the debilitating effects of the Cape St Paul Wilt Disease, and to increase coconut production for export. 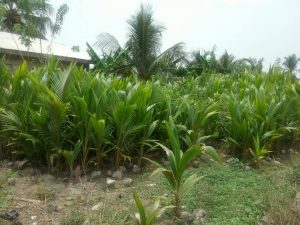 It is the firm believe of GEPA that, by supporting various coconut farmers in the various regions of Ghana with disease-resistant seedlings for planting, the Authority is contributing to the government’s vision of ‘Planting for Food and Jobs’.